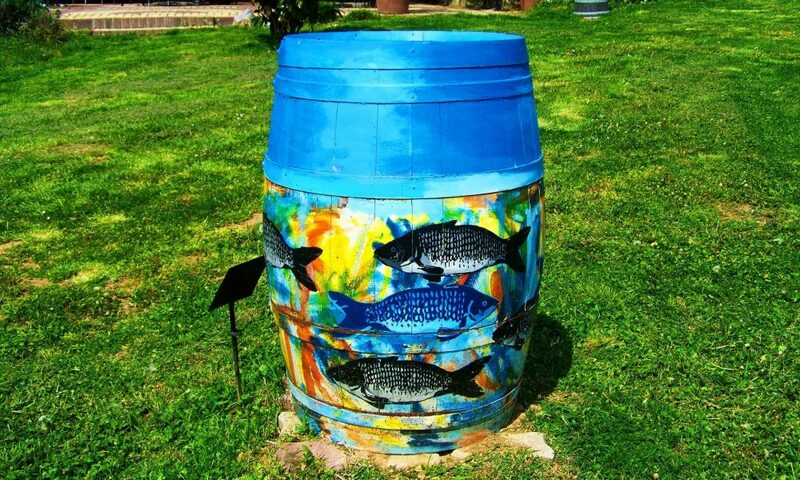 What’s There to See in Blue Barrels? On Monday, April 16, 2018 officials at the Texas Biomedical Research Institute (TBRI) announced they would be re-evaluating their use of blue barrels in animal enclosures as enrichment tools. The previous Saturday four baboons utilized their enrichment tool as an escape tool absconding from their enclosure for several hours before being corralled and returned to the TBRI. If you want more information about the great escape — here’s an investigative report from CNN. After the episode, language and story were again put into play. TBRI’s press release described the renegade baboon escape as an ‘animal perimeter breach’ that was immediately resolved by a ‘highly-skilled animal capture team’. No doubt the team charged with rounding up the baboons was skilled. It is not a task I could undertake but watching the video circulating of this crack team running down the street calls into question the choice of language used in the press release from TBRI. That said, I love this episode because it provides some great moments for coaching consideration. The language used by the humans involved in the episode frames the experience — both before it happens and after. The words used by the humans to describe the blue barrel as an ‘enrichment tool’ set up a situation that made it near impossible for the humans to consider other possibilities for the blue barrel. When the blue barrel is envisioned in a different light and used in a new way, the language used by the humans to explain the new phenomena is kept in line with the original articulation — marginalizing the brilliant take-away teaching we humans might have gotten from the primates; thus continuing the human propensity for not being able to ‘see’ new possibilities. It’s the old saw about the fish and water. Fish have no idea they’re living in water until they’re not in water. We can’t see what we can’t see. It’s the baboons lack of language — their inability to anchor the intended use of the blue barrel to a particular story — that allows them to rethink/reimagine the possibilities and turn an ‘enrichment tool’ into an ‘escape tool’. The more I chuckled over this episode, the more I found it a great opportunity for self-coaching. I began to wonder how often I use language to frame a situation making it near impossible for me to see other possibilities? How often do I see an object and restrict it to only one possibility? Such questions bring to mind the powerful work of Rosamund and Benjamin Zander. They both have enviable careers: Ros as a family therapist and executive coach and Benjamin as a conductor, musical director of the Boston Philharmonic Orchestra and teacher. Their mission in each of their respective careers is the same — get people to see the possible. Benjamin Zander has done several terrific videos — he’s a charming and engaging speaker. If you want a quick look at how to see the world through a different lens, take a look at his TED talk. In 2000, Rosamund and Benjamin published the book, The Art of Possibility. Often recommended in self-development circles (and by Seth Godin) as a book that combines inspiration and advice, it attempts to separate and blend the voices of this husband and wife duo. Though the flow of the book felt disjointed to this reader — it is filled with terrific suggestions and tips on how to rethink your story and mental constructions to improve your life. In my opinion, each chapter can be read as a stand alone so it’s a good book to have around to dip in and out of. Follow Rule # 6: Don’t take yourself so da-n seriously. Seek enrollment from others — this will help light the way. Give everyone an A — let them live into that possibility. It’s almost impossible to argue against any of the ideas proposed by the Zanders. But it is hard to make the new principles a permanent part of one’s mindset. We’re more like fish in water than we know. Here’s where an accountability partner, mastermind group or coach can help you see what you’re not seeing. If you see today, it might not help you see tomorrow — learning how to see is the key. Ask the best people to help you see your water. Give yourself permission with time and space. 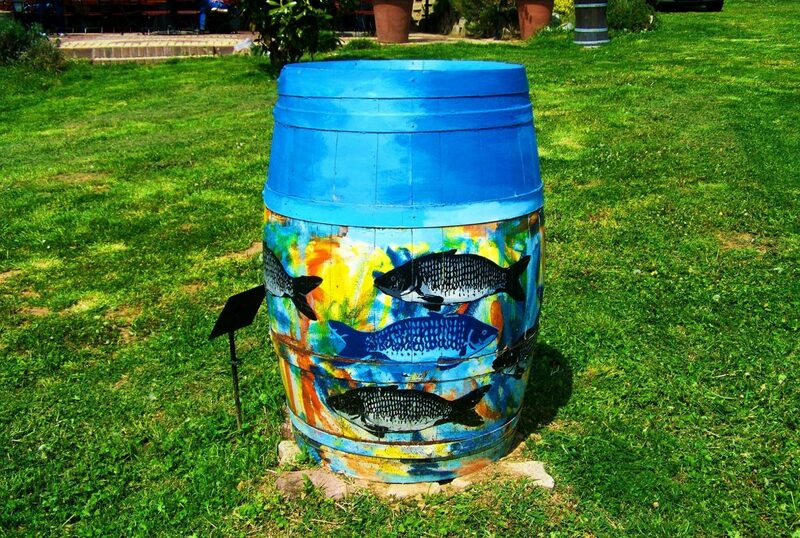 Where are the blue barrels in your life? What’s the story you’re telling yourself about those blue barrels that is keeping you from putting them into play in a different way? Send me an email at Heidi@TheLiterarySalon.com and let me know.